274 pages | 7 Color Illus. | 23 B/W Illus. This book summarizes the knowledge in the field of methods to identify signatures of natural selection. A number of mathematical models and methods have been designed to identify the fingerprints of natural selection on genes and genomes. Such methods are provided in a simple and direct way so that students of different disciplines can navigate through molecular fitness landscapes using complex methods with a basic knowledge on bioinformatics. A collection of the main methods to detect selection in protein-coding genes and amino acid sequences is given at different levels of complexity, from nucleotides to proteins and molecular networks. 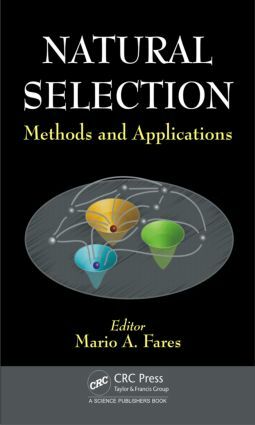 The importance of identifying natural selection in genes and genomes through the methods described in this book transcends the bioinformatics and computational biology fields, presenting applications for experimental biologists in a straightforward and understandable way.